Woodfire Grill is hosting its annual “BBQ & Beer” celebration on Tuesday, July 3, from 5:30 p.m. to 11 p.m. Enjoy Executive Chef Kevin Gillespie’s three-course, all-American dinner for $38 per person (plus tax and gratuity). The menu includes an appetizer course; an entrée course featuring a BBQ plate, Brunswick stew and two traditional sides; and banana pudding prepared by Woodfire Grill’s Pastry Chef Chrysta Poulos for dessert. There will also be freshly baked cornbread and Southern-style white bread on every table. This year, Woodfire Grill is doing something a little different for the event’s beer offerings. The restaurant will be creating its own Independence Day cask of beer at the SweetWater Brewery that will only be served during the “BBQ & Beer” event. 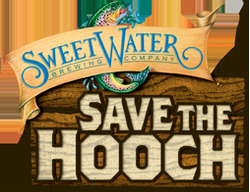 Proceeds from this festive beer’s sales will go to “Save the Hooch,” a campaign started by Atlanta’s SweetWater Brewery in 2005 to advocate and secure the protection and stewardship of the Chattahoochee River, its tributaries and watershed. Reservations are required and seating is limited, so guests must call 404-347-9055 to reserve a spot. Woodfire Grill is located at 1782 Cheshire Bridge Road and serves dinner Tuesday through Saturday. The restaurant will be closed on Wednesday, July 4. For more information, visit www.woodfiregrill.com.